PALMDALE, Calif., Sept. 9, 2015 -- Northrop Grumman Corporation (NYSE:NOC) announced that its Palmdale Aircraft Integration Center of Excellence (PAI CoE), within its Aerospace Systems sector, received the Silver level Zero Waste certification from the U.S. Zero Waste Business Council (USZWBC). This award is significant in that the site is the first aerospace production and manufacturing facility in the U.S. to receive this honor. This achievement signifies that the Palmdale facility has successfully diverted over 90 percent of its waste from landfill, incineration and the environment. The Zero Waste program has a goal to maximize the recycling of all discarded materials for reuse purposes. This achievement supports Northrop Grumman's 2020 environmental sustainability goals, specifically the company's commitment to achieve a solid waste diversion rate of 70 percent by year-end 2020. "Measuring up to the highest standards and going through one of the toughest certification programs in the country can be challenging, but Northrop Grumman rose to the occasion,"Â said Stephanie Barger, founder and executive director of USZWBC. "We see this as a leap forward for Zero Waste, as we're looking for businesses to lead the way, especially as influencers in the government and haulers. 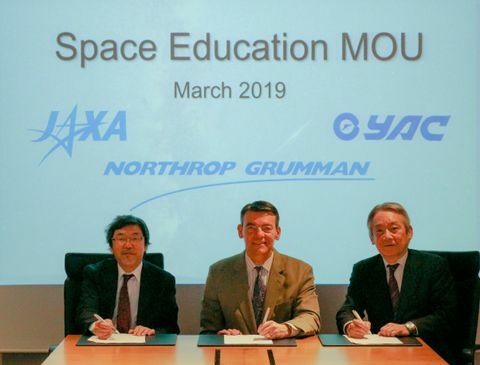 Northrop Grumman is one of those influencers and we look forward to their continual progress toward even higher Zero Waste standards in the future." Northrop Grumman is committed to environmental sustainability leadership. Last year the company reduced its greenhouse gas intensity (metric tonnes of carbon dioxide equivalent per million dollars in sales) by 26.2 percent from 2008 levels. The CDP S&P 500 Climate Change Report 2014 ranked Northrop Grumman in the top one percent of reporting companies and a leading aerospace and defense company for climate change strategy and management, emissions reductions and risk management processes for the second consecutive year. To obtain certification as a Zero Waste facility, the Palmdale site met mandatory requirements laid out by the U.S. Zero Waste Business Council certification criteria. The PAI CoE's site wide awareness efforts and Zero Waste initiative resulted in a 70 percent reduction of the site's waste management costs and more than 90 percent solid waste diversion from landfills. Since initiating this project in 2012, the estimated savings from waste reduction, reuse purposes and landfill avoidance is $4 million. 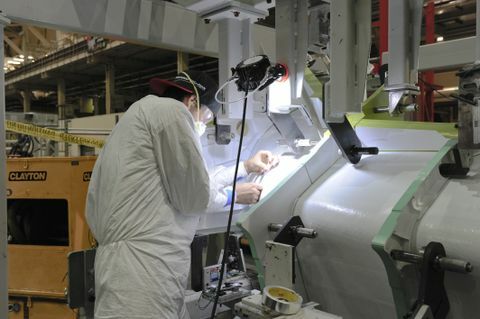 "This is a prime example of the exemplary performance and talent that we have at the Palmdale site," said Andy Reynolds, vice president, global manufacturing and Palmdale site manager, Northrop Grumman. "As the largest manufacturer in the Antelope Valley, it is our duty to remain cognizant of what we can do for our environment."